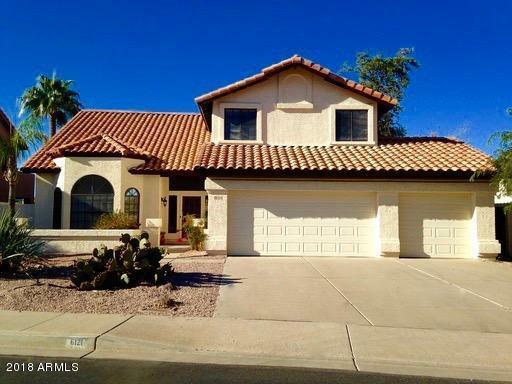 Gorgeous 4 bedroom home with upgrades throughout! 20'' porcelain tile runs throughout the bottom floor. 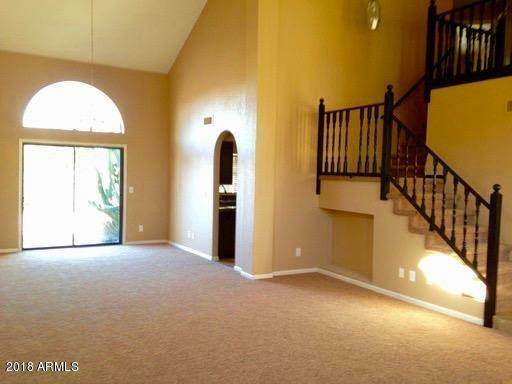 Walk into high, vaulted ceilings with spacious family room. Separate living room with built in fireplace and flagstone backsplash. 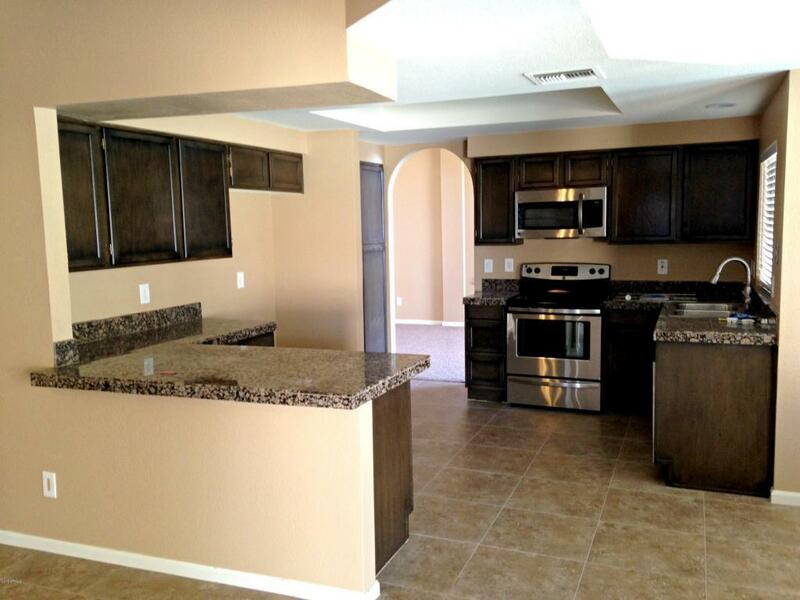 Kitchen offers full black appliance package with cherry wood cabinets and granite slab countertops. 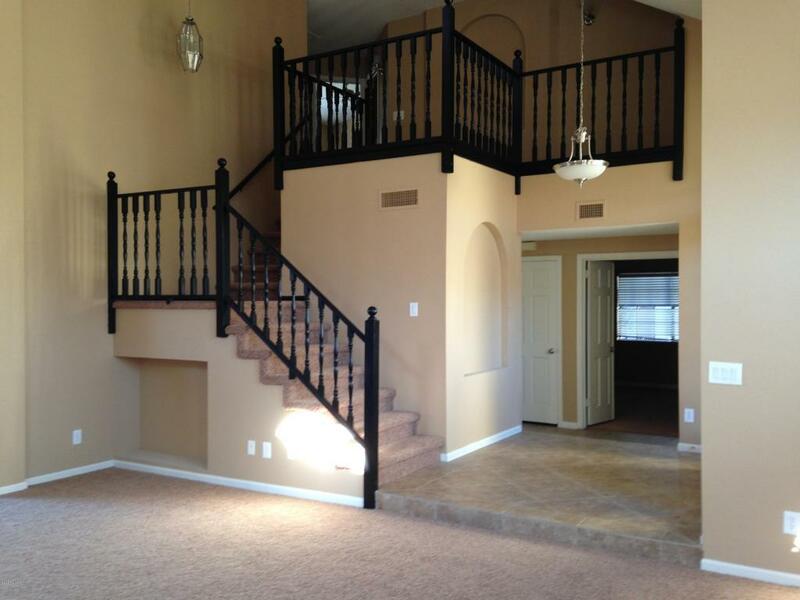 Spacious bedrooms upstairs with carpeted flooring. Master bath has his/her sinks and walk-in shower. Private backyard with lush landscaping and sparkling pebble-tec pool with waterfall feature. Pool is surrounded by cool deck, area of gravel with stone walkway and lush grass area. Extra privacy provided by lush plant-life surrounding entire yard. POOL SERVICE INCLUDED!